Learn Spanish watching The Simpsons. But if I mention Homer Simpson—especially paired up with Marge, Bart and Lisa—you’ll recognize him instantly! Humberto Vélez is Homero, in other words, Homer! More specifically, he’s the voice behind the Spanish-translated (Latin American) Homer Simpson. In other words, that’s a long time and a lot of Simpsons comedy! Humberto Vélez is the guy in charge of making the head dude of “Los Simpson” (“The Simpsons”) translate—not just into the Spanish language but in content and cultural ways, too. And as he admits, it’s not always an easy job. Still, he does it so well that Spanish speakers and language learners worldwide love Homero. 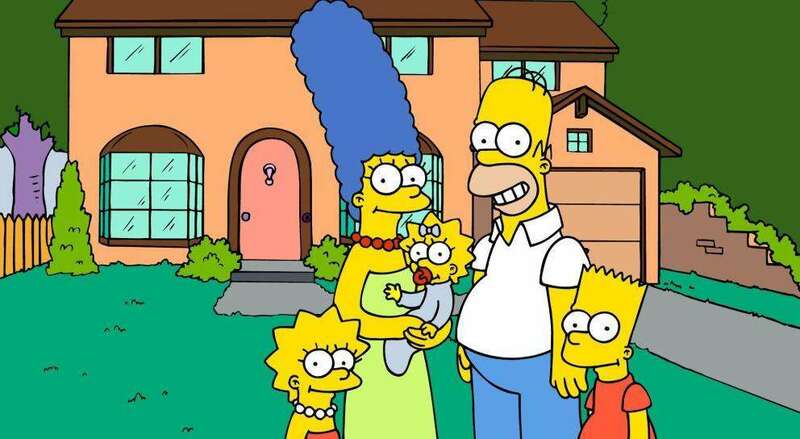 “The Simpsons” has been dubbed into Spanish in both Latin America and Spain. They’re also dubbed into many other languages which shows that a decent story—even if it’s a cartoon—can still be funny, culturally relevant and entertaining no matter where in the world you are. But if you think the Simpson family is just entertainment to watch when you’re wasting time or dreaming of donuts—think again! If you love “The Simpsons” in English, you’ll love learning Spanish with “Los Simpson”! How Can a Cartoon like “The Simpsons” Help Teach Spanish? Watching “Los Simpson” is a powerful way to learn Spanish. The show’s content is relevant and funny and the idiomatic language allows for vocabulary building and cultural learning. You can often find subtitled episodes, which lets you get some reading practice and serves as a boost for beginning learners who might have trouble following the spoken word. You can start by watching with subtitles, then turn them off to give your listening skills a workout, too. You can even practice speaking with the Simpsons family: Just put on your best cartoon voice to mimic Homer and the rest of the characters! Using dubbed cartoons as part of your language program can make learning so much fun that you won’t even realize you’re working to learn a language. Studying specifically with “The Simpsons” is beneficial because, let’s face it, Homer and his family could be any family. I’m sure you know someone like him, or like Marge—or maybe you’re even a Homer or Marge in real life. Characters who we can identify with? They’re the best role models for learning! The show also has a humor that, as we’ve mentioned, translates well into many languages. There’s something universal about the comedy of “The Simpsons”… but a lot of thought still goes into how to bring that humor across in Spanish, so it’s an interesting way to learn about cultural differences and what certain cultures find funny. Let’s see what “Los Simpson” can teach us! So… I’m not agreeing with Homer on that. Trying is a good idea—especially when it can be so entertaining. Use the clips below as a break from your more serious types of Spanish studying. It’s okay to have fun while you’re learning! Write down bits of dialogue. Refer to this list later, after the clip is almost a memory. Don’t be surprised if you understand the vocabulary and phrases! Many people (myself included) retain material with less effort if it’s presented as entertainment. On that same note, don’t forget to add to your vocabulary list with idioms and phrases you see in the clips. It really is a great opportunity to learn new vocabulary! 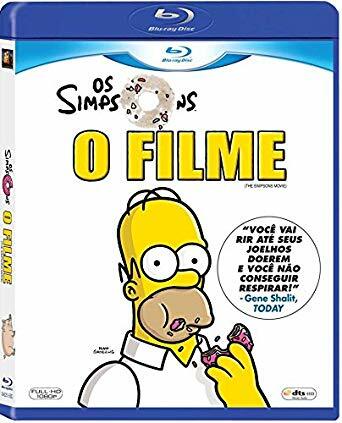 The Spanish adventures of the Simpson family can be found on Amazon: “Os Simpsons O Filme” (“The Simpsons Movie”) is intended for Portuguese, Spanish and English audiences (the title is in Portuguese) so the subtitles and audio are available in all three languages. Another Amazon option is to buy the English DVDs, many of which have Spanish subtitles and dubbing. You can check this in the “Product Details” section (this DVD for Season 20, for instance, has both subs and dubs in Spanish). The clips from this episode (S9:E6), are a great place to begin your Simpson adventure. The action translates well: first aid, sports and everyday medical words in Spanish all make an appearance here. Pay special attention to the English subtitles as compared to the Spanish audio to get a taste of how humor translates from one language to another! Hands down, this clip (from S27:E21) is one of my favorites, just because it’s so wacky! The vocabulary is simple, as it features Homer simply speaking to the audience. This clip is special because when it originally aired, it was completely improvised and recorded “live.” It doesn’t get any more authentic than that! The Spanish translation here was tasked with matching the improvised nature and feel of the segment. This clip also has Spanish subtitles to help you keep up with the audio. It starts out by jokingly calling itself the last episode of The Simpsons. So glad Homer was only pulling our legs on that one! This April Fools episode (S4:E18) is an episode Spanish language learners should watch. Not watch just once, but several times. Why? Because this classic episode is filled with great dialogue, humor and everyday vocabulary that can really add to anyone’s Spanish conversational abilities. More importantly, you can find an interesting cultural tidbit in this one. The phrase “Inocente palomita” has nothing to do with April first; instead, it’s called out on the Day of the Holy Innocents, which is celebrated in Mexico and other Spanish-speaking countries on December 28 and has religious origins. Like April Fool’s Day, this is a day to make jokes and play pranks on each other. So not only does the humor in this episode translate well, you can even learn a bit about culture and traditions through it! In English, this clip (from S10:E7) is called “Homer Buys a Pet Lobster.” You might have noticed by now that not everything translates word-for-word. Instead, the translators make sure to get the content across without losing any of the comedy along the way. This one has almost emotionally compelling content. It shows that Homer does, indeed, have a soft side—and we don’t just mean his stomach. His behavior is entertaining in both English and Spanish and it’s clear that there are some issues that cross cultural divides. Issues like the price of lobster, even! There are lots of common expressions here that are worth learning so take notes and incorporate them into your own conversations. “¡Este es tu gran día!” (“This is your big day!”) is sure to come in handy, even if you’re not holding a lobster. This one (S7:E22) has a diabolical little plot and quirky characters. Presented in a style that combines over-the-top action with film noir. In other words, this is a fun action-packed little clip! There are no (official) subtitles, so it’s perfect for more advanced learners to watch. You’ll also find lots of fun dramatic turns of phrases that might not be used as often in your everyday speech but would come in handy the next time you watch a Spanish drama or soap opera. Leave “D’oh!” to Homer. Let him make the mistakes while you reap the benefits of learning from his zany antics. In his own wise words, “El hecho de que no me importe no significa que no entiendo” (“Just because I don’t care doesn’t mean that I don’t understand”). Fortunately, using fun shows to learn Spanish can lead to both understanding and caring. After all, you can’t help but get sucked into the crazy lives of the Simpson family!